Richard Fraser started his motor repair business in Stafford on April 1st, 1985. It was a big risk, with a wife and two small children aged two and four but, as Richard has said many times since "The RAF was formed on April 1st and they took off OK, so there was no reason why we shouldn't." The business was originally housed just over the road from its current location and was called Foregate Motor Services. However that didn't take too long to be shortened to the more manageable FMS. In the early days the business concentrated on fleet servicing for major Stafford companies including BRC, Lotus and GEC, many of which have now gone, and all the work was recorded in a large red ledger which Richard still treasures. Over the years the business has grown, with much of the new work coming by recommendation and word of mouth. 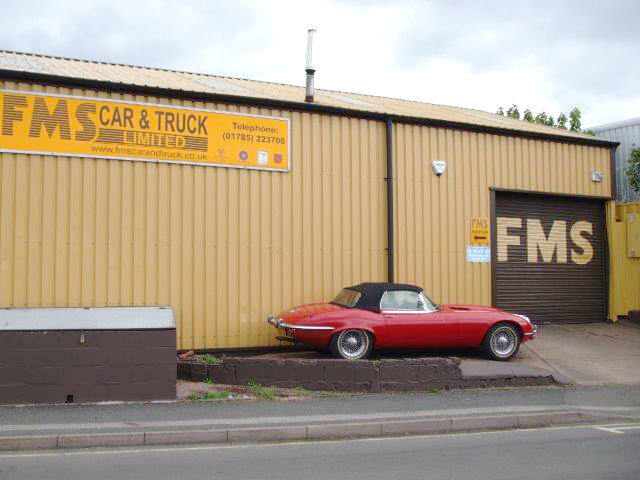 Richard and his team keep abreast of new technology and diagnostic equipment to enable them to maintain the latest vehicles, but they still pride themselves on good "old-fashioned" mechanical skills which are essential to keep the older and classic cars of some of their customers running sweetly.